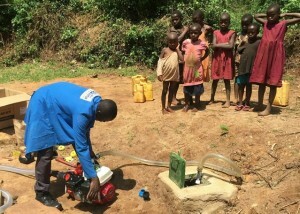 Children look on anxiously as the water pump is turned on for the first time, bringing water over 300 meters closer to the town center. 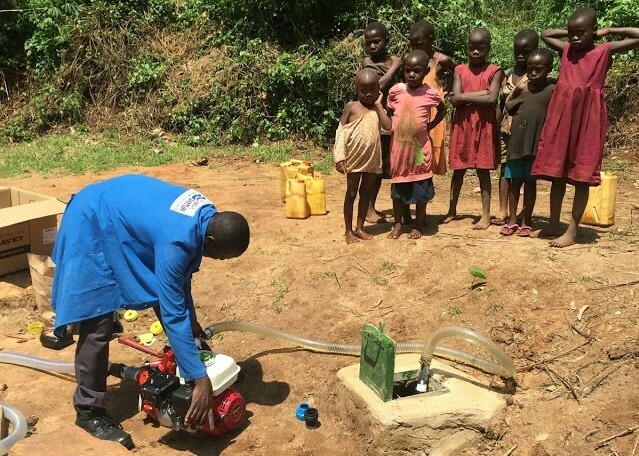 Water is finally flowing uphill in Kikondo. On 17 January 2016, after more than a year of planning, designing, and building, the Wamukisa garden shop could finally celebrate the completion of the first phase of their water project. Water was pumped 310 meters (30 meters of incline) from a natural spring to a 5,000 liter water tank at Wamukisa Garden Shop. 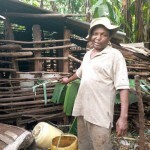 Water access is one of the greatest challenges to residents of Kikondo. Although the area experiences two annual rainy seasons, no infrastructure exists to move rain from the low areas where it runs to higher ground where people live. As a result most families have to walk down to natural streams, usually about 500 meters away, to get water. This task is both time consuming and expensive. 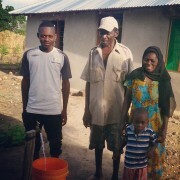 Access to sufficient, affordable, clean water will enable Wamukisa to begin assisting their community in other ways. Now they begin focusing on nourishing organic soil and strengthening health by growing nutritious organic vegetables. The water project is designed to be a sustainable growing business. The first public distribution point is at Wamukisa Garden Shop. Wamukisa will charge 200 UGS ($0.06) per 20L bucket of water. 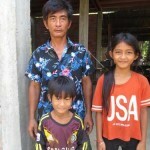 Previously families paid 500-700 UGS for a 20L bucket. 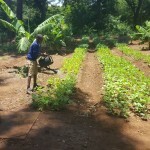 Water for irrigation is discounted to 25 UGS per bucket, and this price is reserved for families who have completed organic vegetable garden training. Payments for water purchasing will cover operating and maintenance expenses. 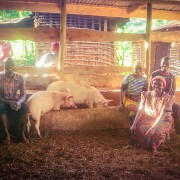 As demand grows and the business proves sustainable, the project can be expanded to include additional distribution points and family connections.